Almas Avatar Pinc Ex.1,CAC, CACIB, BOB, BEST IN GROUP IV !!! 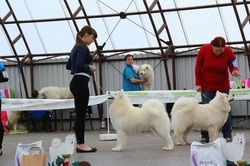 Bon Jovi Bohemia Horrido Ex.1,CAC,CACIB,BOB, BEST IN GROUP III !!! Artush Mandygold Res.BEST IN GROUP ! V1,Regional winner, BEST IN GROUP1 and BEST IN SHOW1! V1, Reg. junior winner and res.BEST JUNIOR IN SHOW! V1,Regional winner and res.BEST IN GROUP with Josefína Soltes! 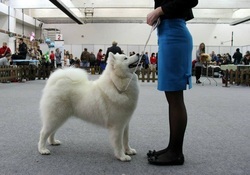 Kennel Danitty - BEST IN SHOW BREEDERS GROUPS1!!! Harmony Tatranská perla V1,CAJC,European winner 2015!! BEST IN SHOW JUNIOR HANDLER 3RD PLACE WITH ALMAS!!! 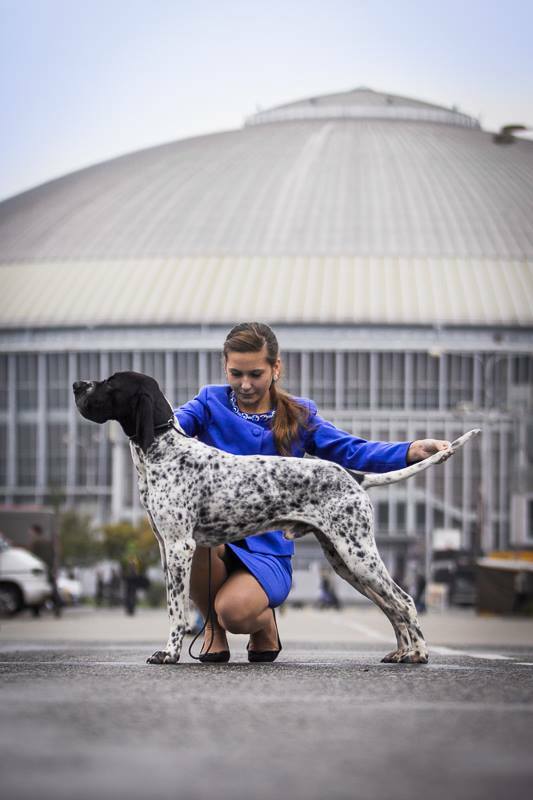 Almas Avatar Pinc(saluki) Ex.1,CAC,CACIB,BOB, BEST IN GROUP1! 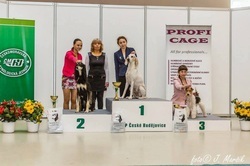 kennel of hungarian shorthaired vizslas "Danitty" BEST BREEDERS GROUP1! 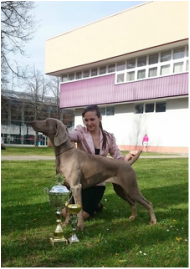 2nd place with weim "Andulka"
​2nd place with Magyar Agar "Adrys"
1st place with stafie "Knedlík"
On saturday I was placed with Staffordshire bull terrier "Dumpling Top Banana" in TOP3 jr.handlers under the judge Stefano Crippa! Thank you! And on sunday I handled pug in breeding group "Ballet", which was placed on 3rd place! Tony White Envisan(standard poodle) BEST IN SHOW VETERAN!!! SAT: 3rd place with airedale terrier "Kuba"
SUN: 1st place with standard poodle "Tonda"
Egar Tatranská perla Ex1 CAC, Club winner, BOS!!! 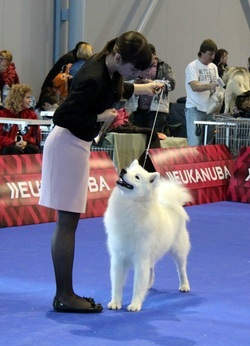 Arisa z Petroupima Ex1 CAC, Club winner, BOB!!! LADY LALIQUE SIRIUS NOVA (weimaraner) - Ex.1 CAJC, JBOB, BOB, JBIG, BIG3! 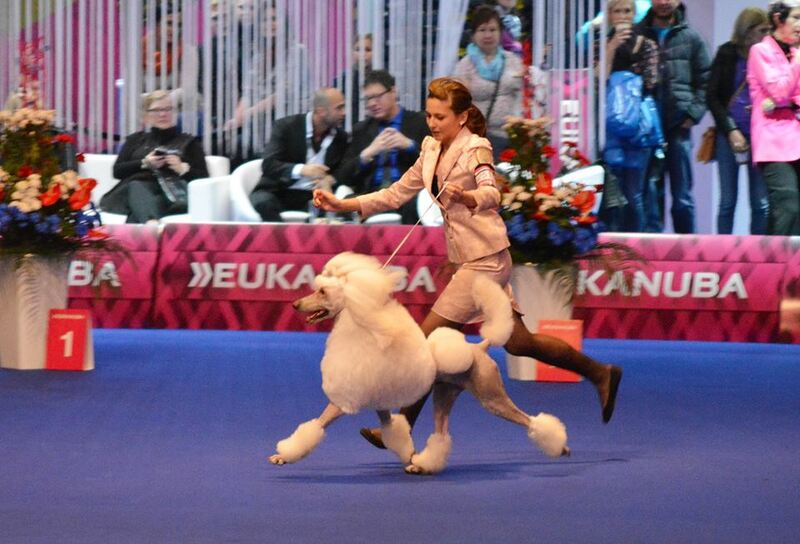 Annabel du Cristaux Glacés (standard poodle) BEST IN SHOW VETERAN1! Cayenne+Cee´d od Hadího potoka(bloodhounds) BEST COUPLE1! 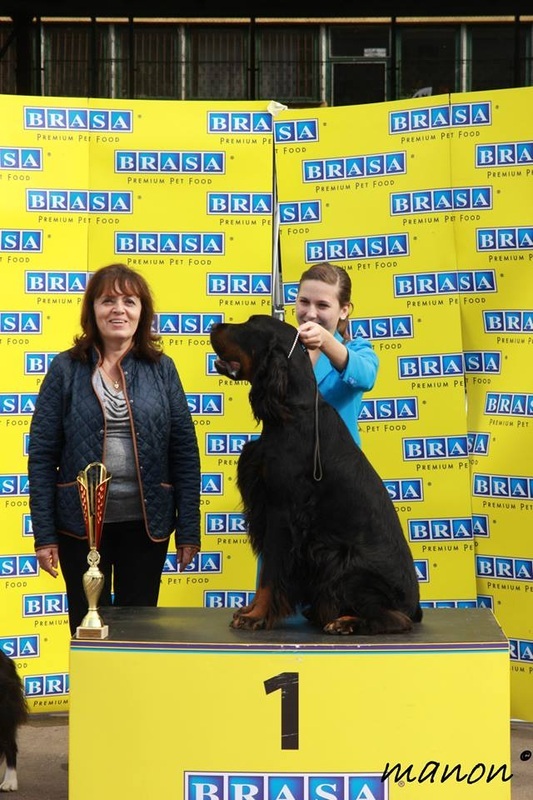 Trois Piaf DAMA Krkonoše(braque d´Auvergne) Ex1,VDH,CAC,CACIB! 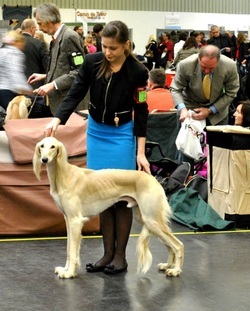 Amani Sayah(saluki) club show Ex1-with owner, VDH, Best male, BOB! Almas Avatar Pinc (saluki) 2xCAC,CACIB,BOB...BIG1,BIG5 ! Bon Jovi Bohemia Horrido 2xCAC,CACIB,BOB...BIG4 ! Fleriss Od Račí studánky V1,CAC,CACIB ! Fleriss Od Račí Studánky V1,CAC,CACIB,BOS! 2.místo ve starší kategorii za rok 2015! 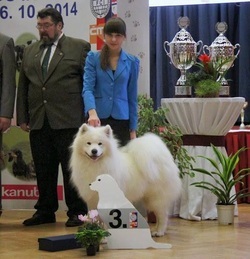 FLERISS OD RAČÍ STUDÁNKY(samoyed) V1,CAC, NV, BOB! Můj rozhovor s blogem TOPDOG! Fleriss-Snowy od Račí studánky (Samojed) Excelent! (Irish Soft Coated Wheaten Terrier) V1,BOV,BOB,res.BIS VETERAN! Fleriss-Snowy od Račí studánky(Samojed) V1,CAJC,BOJ,BOS! Tai Chi Piaf DAMA Krkonoše(Auvergnéský ohař) V1,CAJC,BOJ! 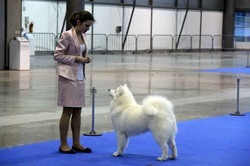 Ch﻿udo﻿bka Anibob - V1,BOV,BOB,BEST IN GROUP 1!! 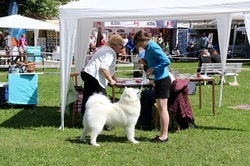 Jetta´s Winning Joy-G BEST IN GROUP 1! !